It’s 3 PM on a perfect Summer afternoon. The sun is shining bright and the birds are chirping in the distance. You’re laying in an open field, without a thing to do until the moon comes up and the fireflies come out to play. You close your eyes and take a deep breath. Euphoria. Texas psychedelic rockers, The Rotten Mangos, have captured that deep fulfillment and put it to tape in their honey-dripping new single, “In Love With The Afternoon”. 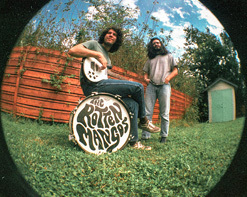 Vocalist and guitarist, Ramiro Verdooren and drummer, Cristian Sigler are the two-piece makeup of Austin, Texas’ The Rotten Mangos. The band formed in 2013 and their sound has been ripening with each release. Their 2014 Self-Titled debut EP introduced the duo’s brand of psychedelic rock with a sweet tooth for pop hooks. Following the first EP, they dropped the ‘Orange Sun Silhouette’ tape in 2015 and the “It Must Be In The Air” single in 2016. Keeping up with the annual release schedule, “In Love With The Afternoon” comes as an end of the year smash, signifying good things to come… And good things are coming indeed! Their debut LP, ‘Couldn’t Find A Word’ is set for release on December 1st and they are hitting the road in support of the album in the new year with a two-week Southeast US tour in January 2018. The “In Love With The Afternoon” music video serves as the perfect visual representation for the song. Movie-maker, Vanessa Pla filmed each scene with nothing but Super 8 film, making the recently shot footage look as if it was spliced right out of the national archives from 50 years ago. Adding to the Sgt. Peppers-esque psychedelia, animated scenes created by Amber McCall provide another layer to the video’s trippy framework. 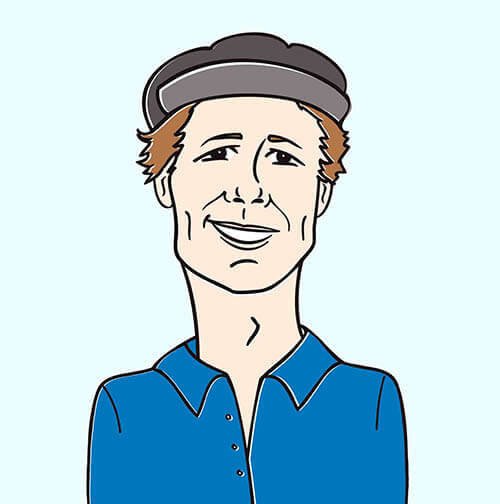 With a strong base beneath their feetand an even stronger wind at their back, The fully realized sights and sounds of this single are sure to remind the indie world that quality organic songwriting never goes out of style. We are absolutely ecstatic to be teaming up with the pioneers of the psychedelic re-awakening, The Rotten Mangos, to bring you the “In Love With The Afternoon” music video and to see it included in your regular programming would give us a profound “warm and fuzzy” feeling. Please don’t hesitate to let us know what we can do on our end to make that happen! This remarkable trio is the real deal; the songs they write are terrific, their look is earthy and earnest, their confidence is undeniable, and the sky’s the limit! Please contact Andy Gesner and the HIP Video Promo team at (732)-613-1779, email us at info@HIPVideoPromo.com or visit www.Facebook.com/TheRottenMangos for more info on The Rotten Mangos.